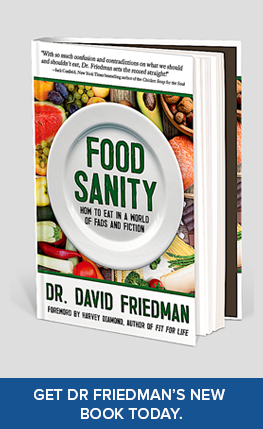 Dr. David Friedman is the award-winning, #1 national best-selling author of Food Sanity, how to eat in a world of fads and fiction. He's a Doctor of Naturopathy, Clinical Nutritionist and Chiropractic Neurologist. He received a post-doctorate certification from Harvard Medical School, is a Board Certified Alternative Medical Practitioner, Board Certified in Integrative Medicine and a registered Naturopathic Diplomate. He’s a former teacher of neurology and author of the college textbook, “Understanding the Nervous System.” Dr. Friedman is a contributing writer for a plethora of leading news, health and fitness magazines including U.S News & World Report, Newsweek, Readers Digest, Better Nutrition, AARP Magazine, and Woman's Word, just to name a few. 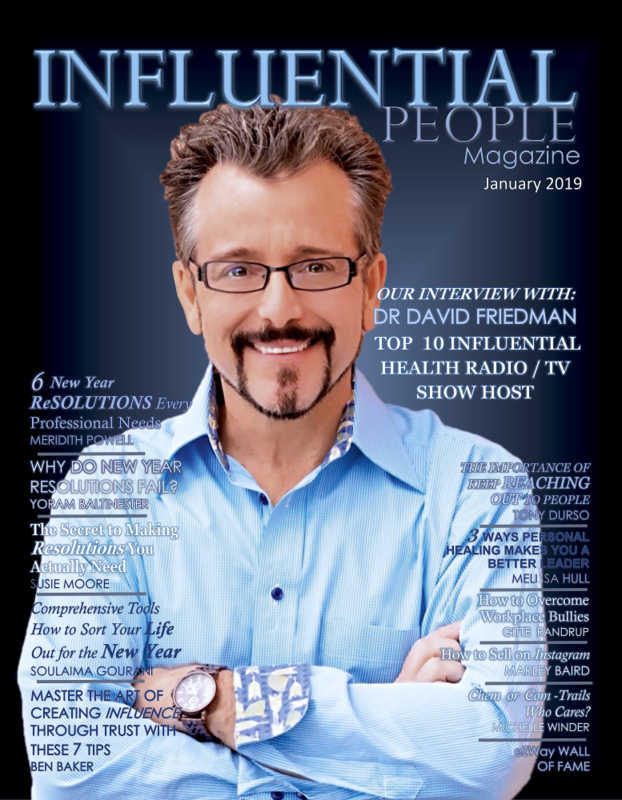 He’s been a guest on over a hundred syndicated radio and television shows and his bestselling CD, America’s Unbalanced Diet, has sold over a million copies, helping raise awareness about the unhealthy foods people are consuming. Dr. Friedman's list of clients has included many top celebrities like John Travolta, Jenny McCarthy, Jamie Lee Curtis, Anthony Hopkins, Val Kilmer, and Paul Newman, to name a few. 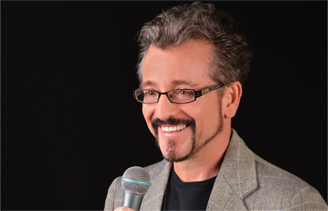 As the Health Expert for Lifetime Television’s morning show, millions of people have enjoyed his weekly, cutting-edge features. Viewers favorites include: Artificial sweeteners cause obesity; milk causes brittle bones and how some vitamins may actually contribute to disease. 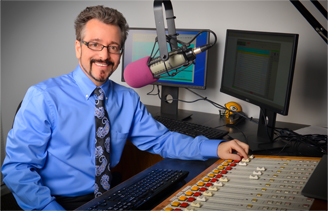 Dr. Friedman also hosts the nationally syndicated program To Your Good Health Radio, which has changed the face of talk radio by incorporating entertainment, shock value, and solutions to everyday health and wellness issues. The show is heard coast-to-coast every week on AM/FM and internet radio platforms including iHeart Radio, TuneInRadio, SketcherRadio, SlackerRadio, RadioMD, and Sound Cloud. Podcasts (many have gone viral!) are also available on iTunes. 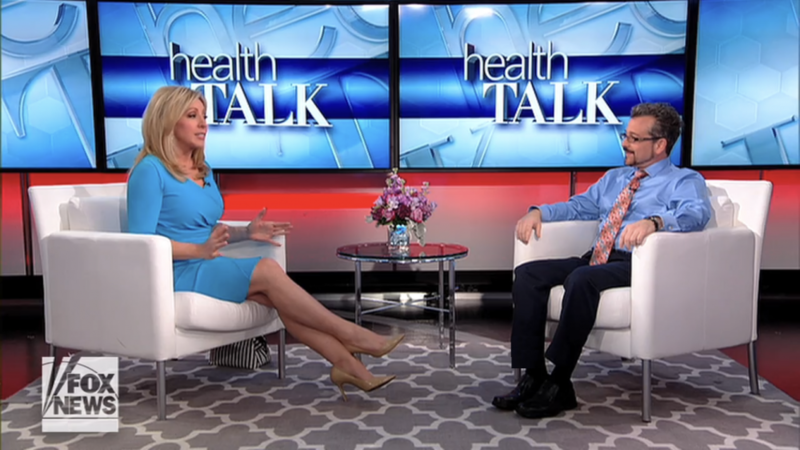 Each show features interviews from world-renowned doctors, celebrities, sports figures, and New York Times bestselling authors who all share one common goal – finding a healthy lifestyle in the unhealthiest developed country in the world…..the good ole U.S.A. In addition to treating many cast and crew members for major motion pictures, Dr. Friedman also severed as an Executive Producer for the critically acclaimed film, UNdoctored. This captivating film shares the story behind the AMA’s illegal plot to destroy their biggest competitor. The film was directed by Academy Award nominated producer Jeff Hays. Dr. Friedman is currently working on a documentary for Netflix.